As distributed via press release on March 14th, 2018. 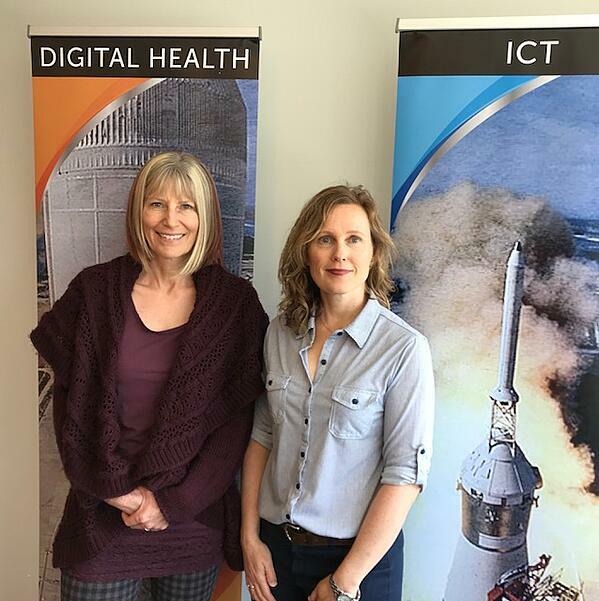 Kelowna, BC – March 14, 2018 – CoreHealth Technologies is pleased to announce it made the Rocket Builders 2018 Ready to Rocket Digital Health list. CoreHealth, and it’s leading corporate wellness platform, is poised to capitalize on it’s growth in the digital health technology sector. “The senior list is expected to grow revenue at double digit levels, to increase staffing ahead of other companies in the sector, to be better positioned than others for partnering and investment. To be real Rockets in all areas - many aspire, few are chosen,” says Reg Nordman, Rocket Builders. “It is such a privilege to be recognized on the Ready to Rocket List. We are a proud British Columbia tech company, based in Kelowna, that is revolutionizing the corporate wellness industry around the world. Since our wellness platform is typically re-branded and re-sold by our customers, who are leading providers of workplace wellness, we are not usually in the spotlight. This recognition truly acknowledges our company and technology as a leader in the digital health technology sector,” said Anne Marie Kirby, Founder and CEO of CoreHealth Technologies. “We identify companies that have both innovative technology and that provide impactful value with a proven solution. Our analysis of the market and the company progress led to our selection of CoreHealth Technologies as a Ready to Rocket Digital Health company.” said Geoffrey Hansen, Managing Partner, Rocket Builders. CoreHealth customers include leading corporate wellness companies, insurers and their wellness divisions, employee assistance providers, group benefits brokers and human resources consulting firms. CoreHealth’s corporate wellness technology is receiving more attention from multi-national and global companies that are seeking a platform partner that can help them deliver wellness programs in multiple languages and locations while ensuring compliance with restrictive privacy rules around the world. CoreHealth CEO Anne Marie Kirby and Marketing Manager Cindy Danielson at the Ready to Rocket Reception. CoreHealth Technologies Inc. is the leading corporate wellness platform trusted by more than 1000 organizations, ranging from medium-sized businesses to Fortune 500 enterprises. At CoreHealth, we believe that developing the best employee wellness programs is all about giving wellness companies the right code, design and access to the latest innovations. With the most customization, integrations and reliability of any software in its class, CoreHealth’s powerful platform lets users focus on growing great companies. For more information, visit the CoreHealth Technologies website.